We've featured the Rufus Cuff a couple of times on Wareable in the past. The first time was in a feature titled Worse for wear: The worst wearable crowdfunding campaignsand the second in one named WTF wearables. Harsh? Maybe - but take a look at the thing, it's a monster. Anyways, and on to the news in hand and the aptly named Cuff is now available to pre-order for a cool $299. That's not a bad price for a smartphone on your wrist. Until, of course, you consider that it's a smartphone with a 2009 spec sheet. And one without a SIM card slot. It has a a 400 x 240 3.2-inch screen, a 640 x 480 front-facing camera, runs Android KitKat and is powered by a TI Cortex A9 Processor. Exactly. But it's not really about the specs, it's about the experience. Given that units still haven't shipped to backers of its successful Indiegogo campaign from two years ago though - we're not holding out much hope that it's going to be all that impressive. But maybe we're being too critical. 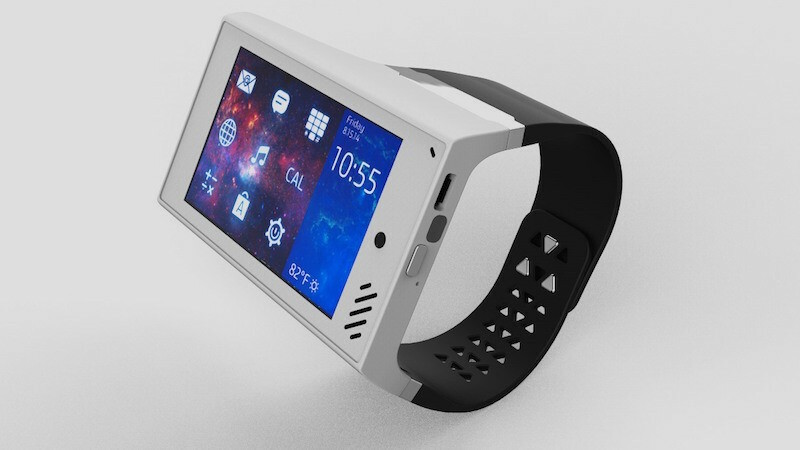 Maybe this is a game-changing smartwatch, rather than a duff smartphone. Maybe. If you want to take the chance you can order right now for $299. It comes in blue, black and white. Shipping is expected to begin in July. The first people tp get Cuff'd up will be the early adopters who backed on Kickstarter.